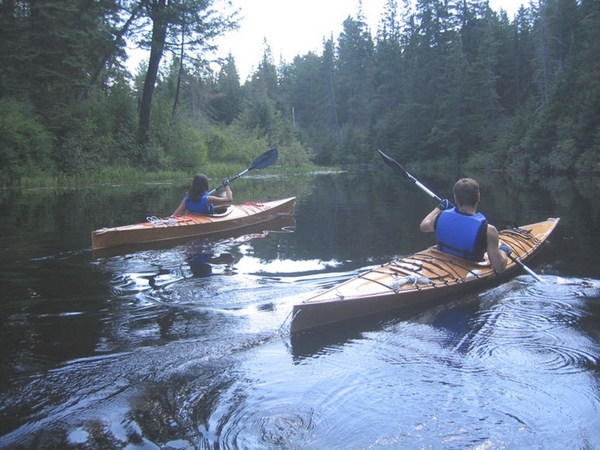 Cover Photo: Paddling the south shore of Ontario’s Lake of Two Rivers and into Pog Lake. 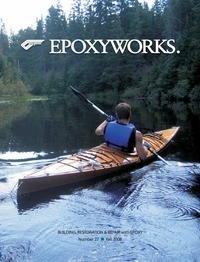 This entry was posted in Boat Construction, Canoe & Kayak Construction and tagged 27, 36, Chesapeake 16, Chris Jacobson, cover story, Epoxyworks #27, Epoxyworks #36, Fall 2008, kit boat on March 23, 2015 by ewadmin. 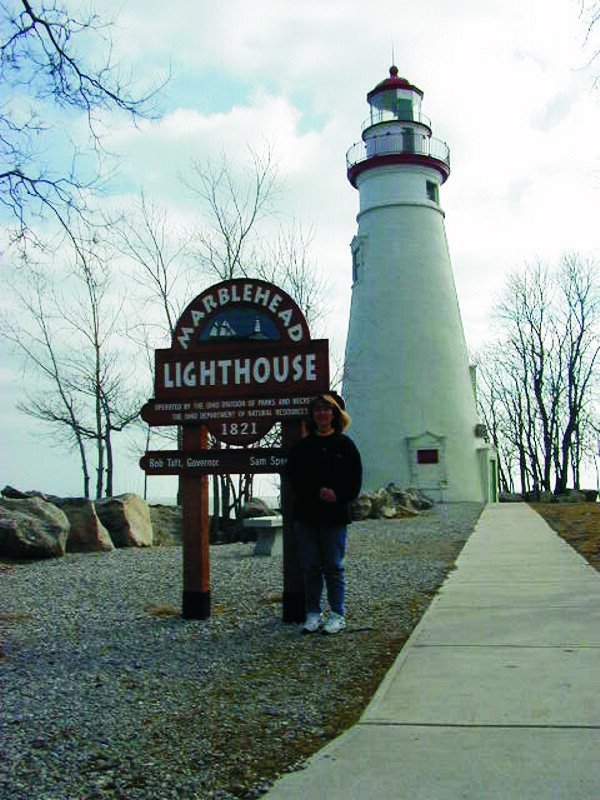 This entry was posted in Arts & Crafts and tagged 27, Epoxyworks #27, Fall 2008, lighthouse, strip planking, Tom Pawlak on March 22, 2015 by ewadmin. Spot prime metals with G/5 in place of slower drying paint primers for indoor applications prior to applying latex paints. 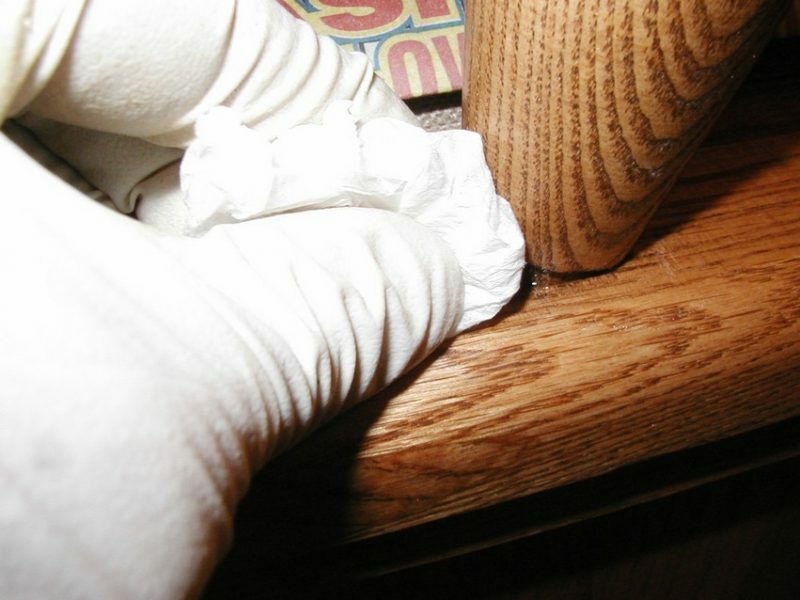 Latex paint can be applied to G/5 about ten minutes after the epoxy is applied and while the epoxy is still soft. 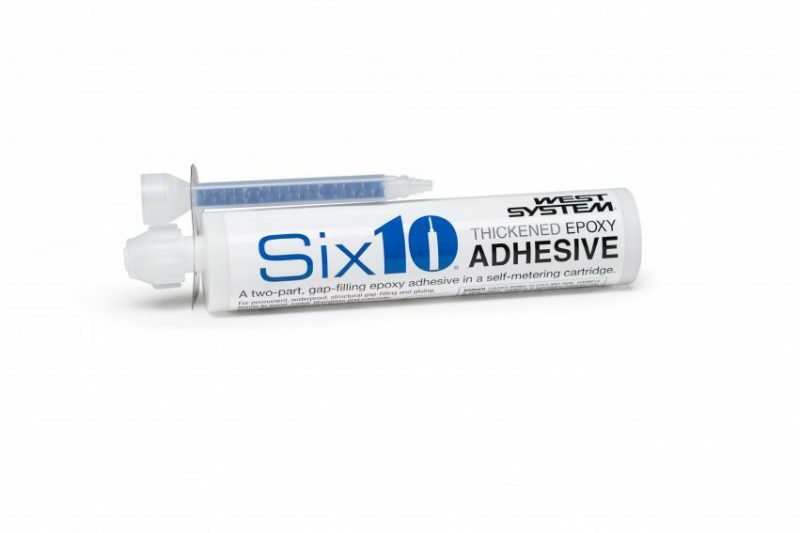 G/5 provides a thin barrier and prevents rust that otherwise forms in latex paint when it dries over bare steel. 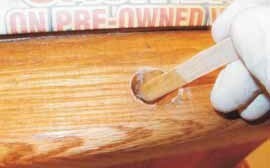 This entry was posted in Epoxy Products, Fixing Broken Stuff!, Techniques & Tips and tagged 27, Epoxyworks #27, Fall 2008, G/5, G/flex, J.R. Watson, Tom Pawlak on March 21, 2015 by ewadmin. 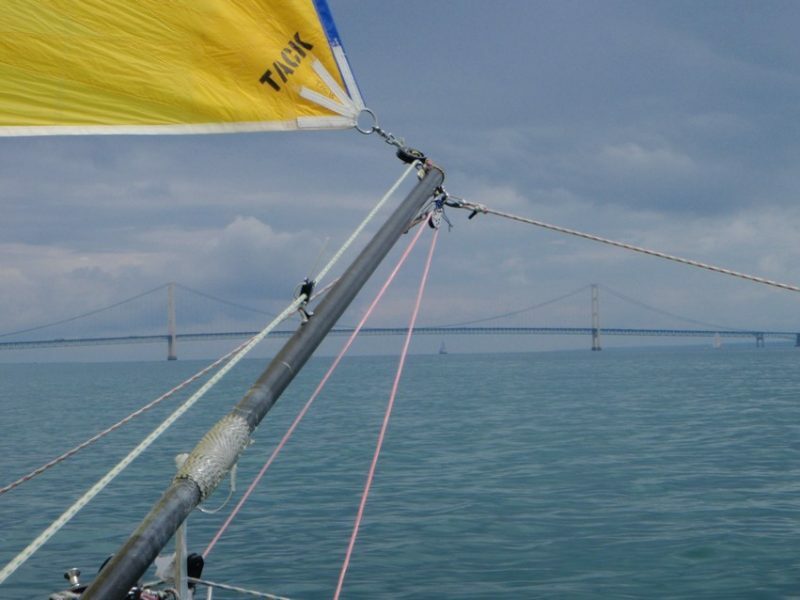 Adagio, our 35′ trimaran, was already off to a bad start in the 100th anniversary of the first running of the Chicago to Mackinaw race with an over-early call by the race committee. Everything went downhill from there. 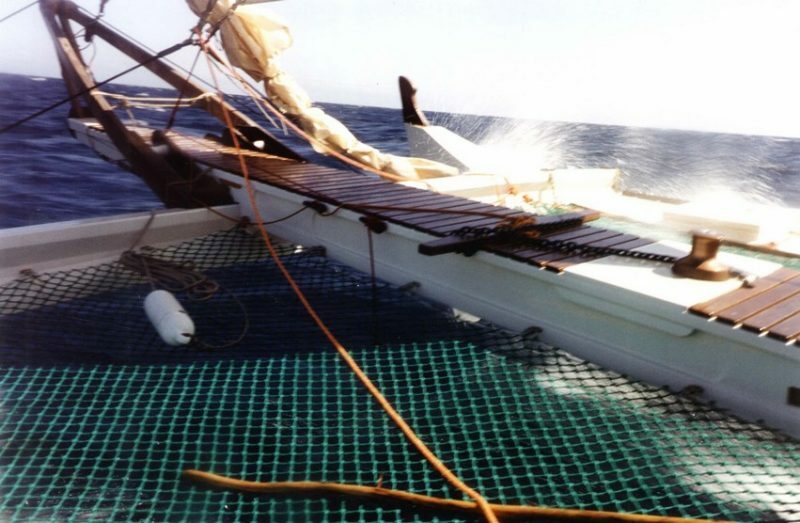 This entry was posted in Boat Repair, Multihull Construction and tagged 27, Adagio, Blending epoxies, Butch Babcock, Chicaco-Mac Race, Epoxyworks #27, Fall 2008, G/5, Meade Gougeon, spinnaker pole on March 20, 2015 by ewadmin. 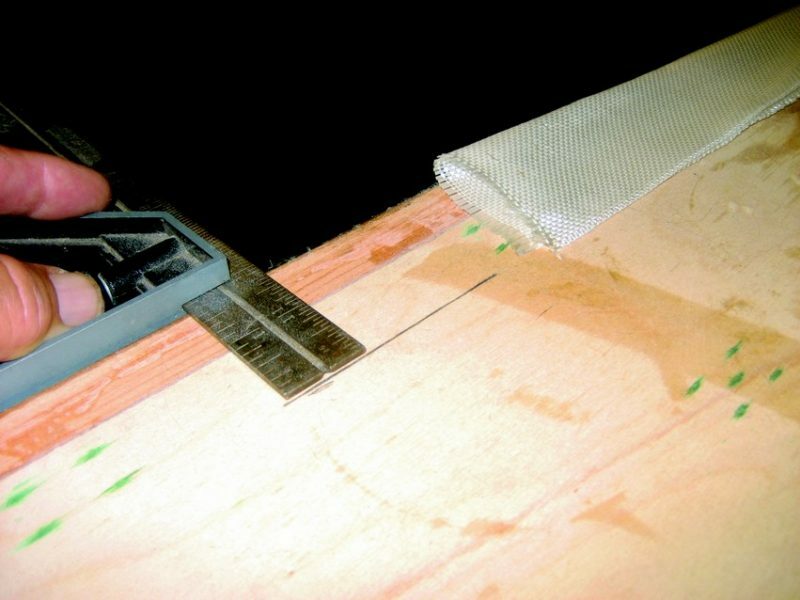 This entry was posted in Materials Testing, Techniques & Tips and tagged 27, Epoxyworks #27, Fall 2008, Fiberglass tape, J.R. Watson on March 19, 2015 by ewadmin. 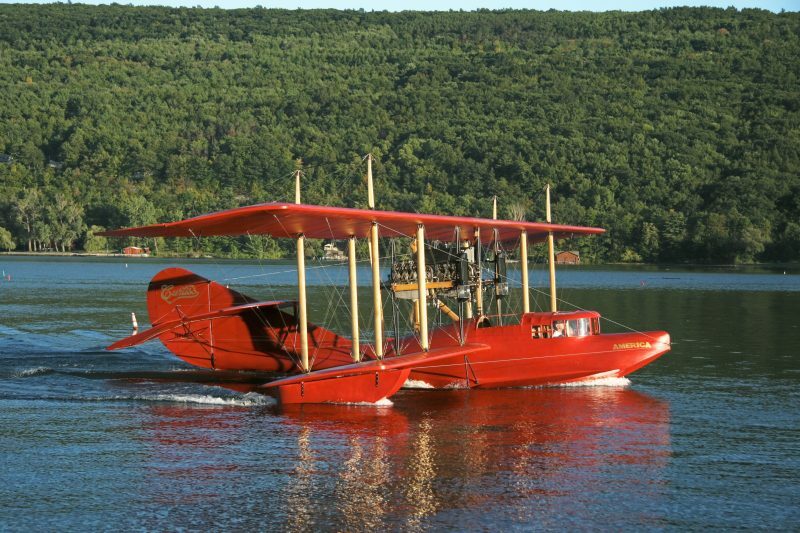 This entry was posted in Aircraft and tagged 27, aviation, Epoxyworks #27, Fall 2008, Glenn Curtiss, Michael Barker on March 18, 2015 by ewadmin. At two-part adhesive in a convenient, self-metering cartridge for permanent, waterproof structural gap filling and gluing. This entry was posted in Epoxy Products, Techniques & Tips and tagged 27, Epoxyworks #27, Fall 2008, Six10 on March 17, 2015 by ewadmin. 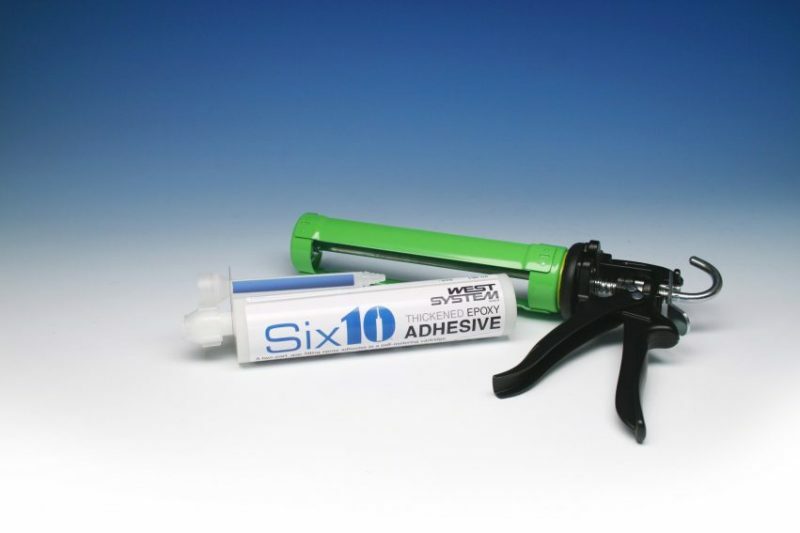 This entry was posted in Epoxy Products, Materials Testing, Techniques & Tips and tagged 27, adhesion, Epoxyworks #27, Fall 2008, G/flex, Jeff Wright, Six10 on March 16, 2015 by ewadmin. This entry was posted in Epoxy Products, Techniques & Tips and tagged 27, Epoxyworks #27, Fall 2008, J.R. Watson, Six10 on March 15, 2015 by ewadmin. This entry was posted in Multihull Construction, Wooden Boat Construction, Yacht & Large Vessel Construction and tagged 27, Catamaran, Epoxyworks #27, Fall 2008, J.R. Watson, James Wharram, Pahl 63, Tahiti Wayfarer, Tama Moana, Tiki 30, Trimaran on March 14, 2015 by ewadmin.